In the area of energy trading, we have a trusting relationship with KYOS built on many years of working with them. We have been using some of their off-the-shelf products for simulation and plant evaluation while also developing custom based solutions such as Value at Risk Calculation or custom extensions to their existing tool suite. Our developers and quants work closely and effectively with the KYOS team, sharing code and ideas. Also after having developed our own solutions, KYOS’ implementations have been an excellent benchmark for our internal model validation process and a yardstick for any internal effort. KYOS has always been readily available and never short of problem oriented quantitative solutions. For nearly 80 years now, STEAG GmbH has been synonymous with safe and efficient power generation, both within Germany and abroad. We draw on our extensive experience to support our customers in every aspect of the power generation process. We plan, develop, construct, operate and market high-efficiency power plants and their by-products. Besides custom power and heat generation solutions, we offer a wide range of energy services. In 2015 with a staff of around 5,920, we were able to achieve a turnover of 3,568 million euros. 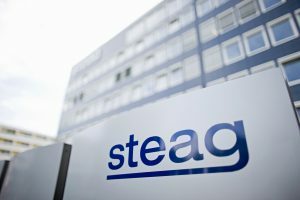 As one of the largest generators of electricity in Germany, the STEAG Group has an installed capacity of approximately 10,150 megawatts (MW), of which around 8,200 MW are in Germany. The STEAG Group operates ten power plants at nine locations throughout Germany, as well as over 200 local power facilities for generating power from renewables and local generation facilities for industrial applications and heat supply.